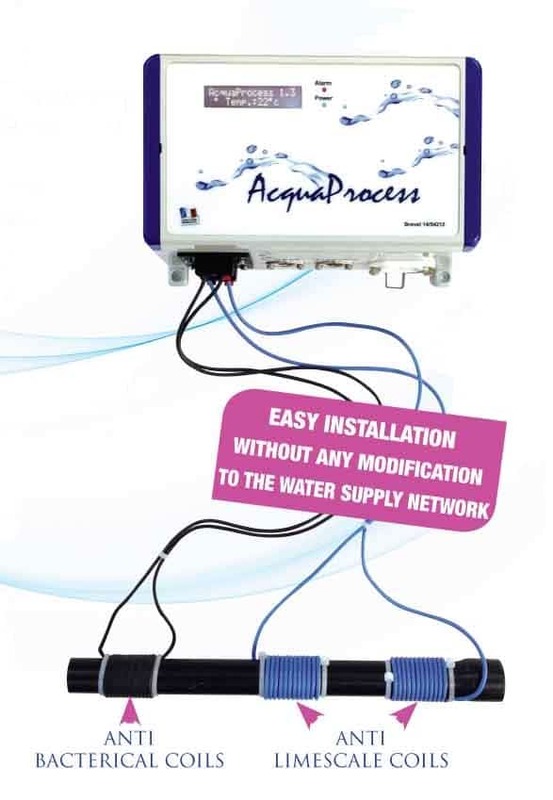 Easy installation without any modification to the water supply network. The Acquaprocess system is easy to install and uses a system of low frequency induction which modifies the limescale properties of water. This unique concept will eliminate limestone deposits, destroy biofilm and reduce bacteria, whilst at the same time leaving the essential elements which we need (calcium, salt, mineral salts, magnesium). Whether it is a private or public swimming pool, a pool of water, a block of flats, a group of buildings, a water heater…..the ULF Acquaprocess generator provides the healthy safe and ecological solution which allows you to make savings of between 30% and 50% as regards chemical products. After a simple installation which does not require you to change your original system, the generator will send signals of variable frequency and power, and will transmit this energy to the water by using an inductor, thus transforming the limestone properties of the water. 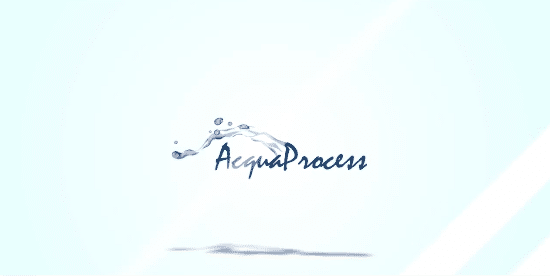 The solutions offered by the Acquaprocess system sum up all the benefits for the environment. It offers green solutions to benefit Industry, neighbourhoods and individuals. It provides significant economies of water and hydrocarbons. You will reduce your water and chlorine consumption by using our unique Acquaprocess process and therefore your costs regardless of the size of your public or private pool. Private habitation, block of flats, thanks to Acquaprocess, you will reduce the accumulation of limescale and deposit and extend the life of the tubes and resistances while considerably reducing your energy consumption. Our Acquaprocess system will prevent corrosion, limestone formation, fouling and bacteriological development, all factors of Legionella development. The presence of limestone in the hoses, around the resistors and in the collecting bags of the humidifiers necessitates a regular shutdown of the system. 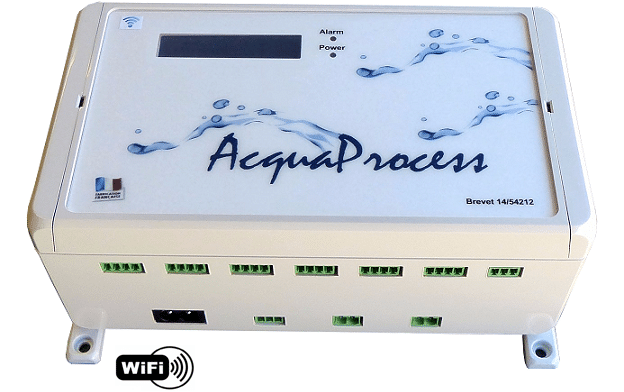 With Acquaprocess, you will considerably reduce the maintenance of your devices. The unique Acquaprocess process will allow you to improve your filtration of water circuits and eliminate biofilm and algae but also to save money.